Football Sunday mornings are always hectic in our kitchen as I rush around trying to get everything ready before our friends arrive (though I never seem finish before they get here!). Usually I make a combination of simple snacks and a couple recipes that are a bit more complex. 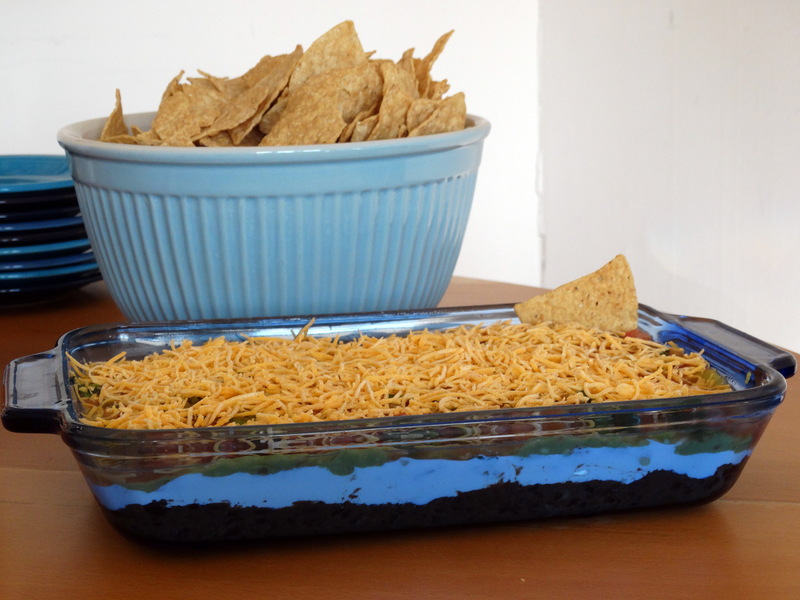 A few things you will need to prepare this crowd-pleasing dip: 1 28-ounce can of black beans, cumin and chili powder, 16 ounces of sour cream, 16 ounces of guacamole, 16 ounces of your favorite salsa, and one cup of shredded cheddar cheese. 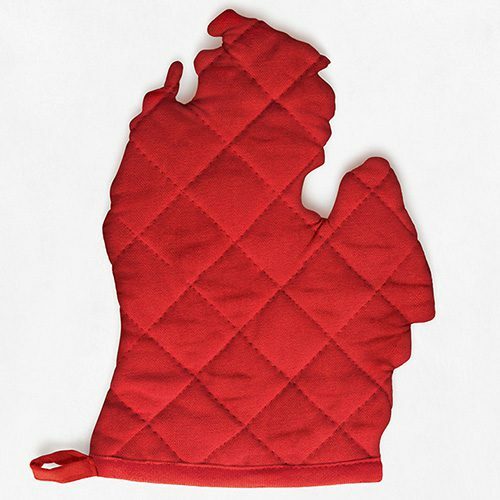 I used an 8″ x 11.5″ baking dish. Drain and rinse the black beans. Put them in a bowl along with cumin and chili powder to taste (approximately two tablespoons of each). Mash until well combined and the beans are broken down. If you want to add a bit of extra heat, add a dash or two of cayenne pepper. 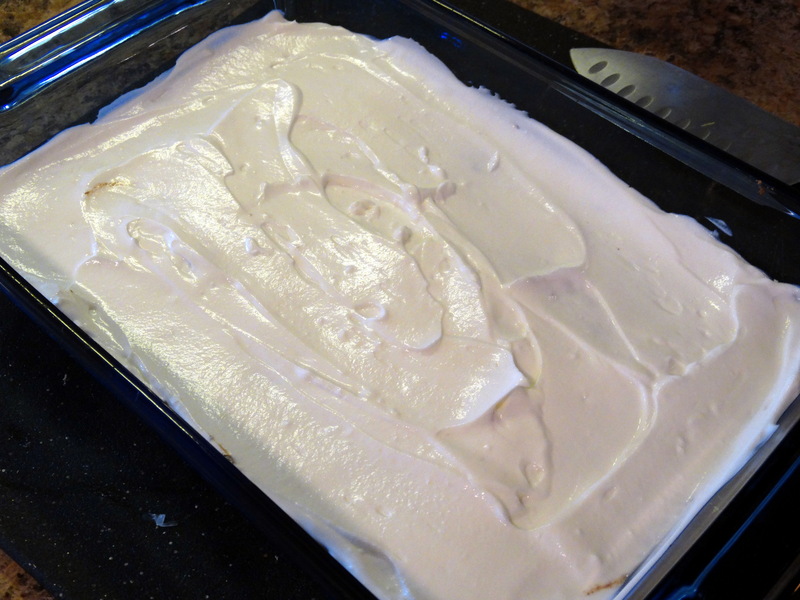 Transfer the bean mixture to a baking dish and spread evenly across the bottom. Next add a layer of sour cream. Spread a layer of guacamole over the beans. You can make your own guac and salsa, or buy it. We have a great ethnic grocery store up the street that makes their own guacamole and a variety of fresh salsas daily, so we’ve gotten spoiled. After the guac, add your salsa. After the guac, add your salsa. 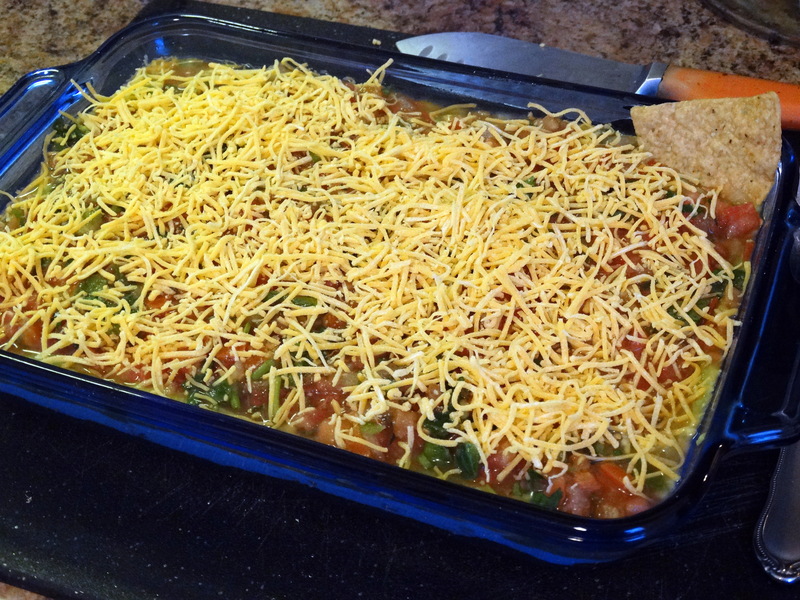 Smooth the salsa out so that the top layer is flat and sprinkle it with shredded cheddar cheese. Viola! Serve your dip with corn chips and enjoy! 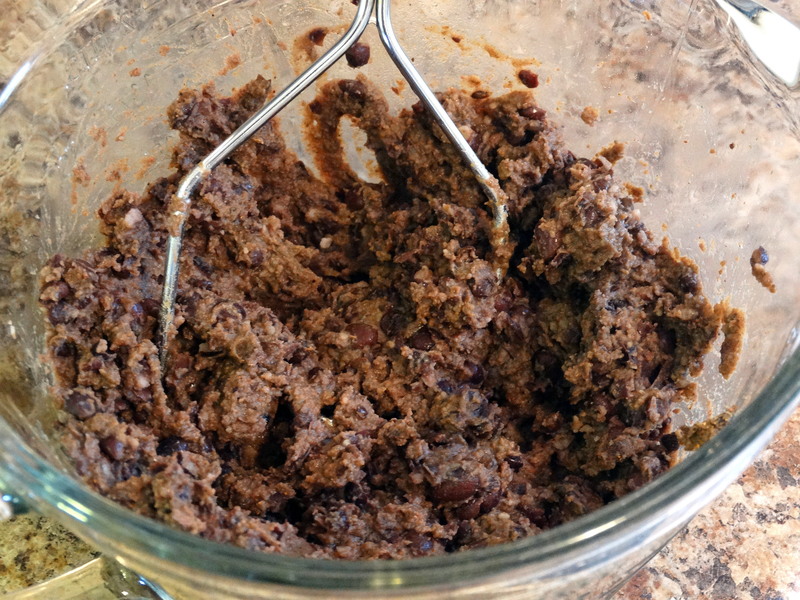 1) Drain and rinse the black beans. Put them in a bowl along with cumin and chili powder to taste (approximately two tablespoons of each). Mash until well combined and the beans are broken down. 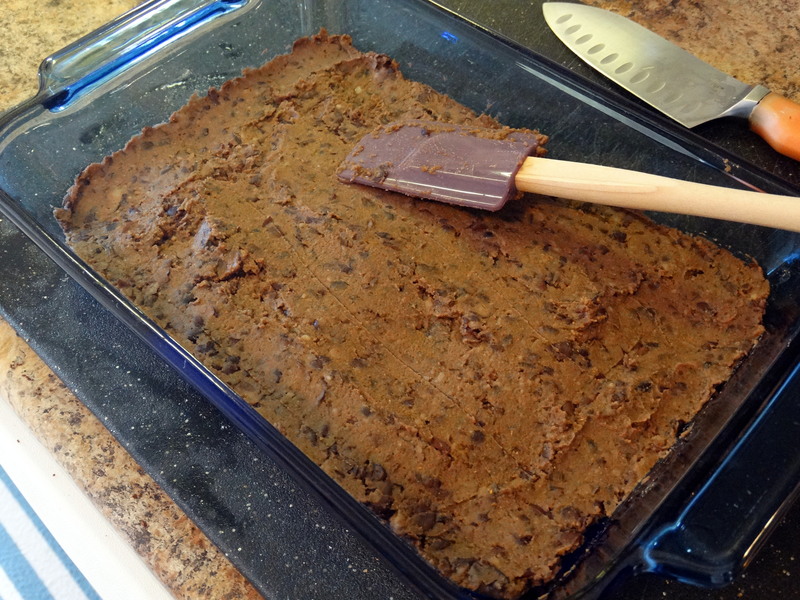 2) Transfer the bean mixture to a baking dish and spread evenly across the bottom. 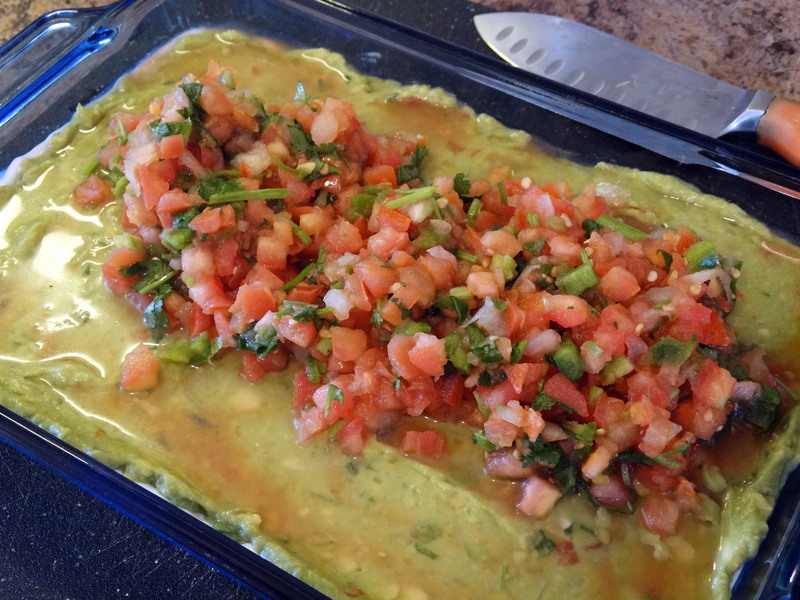 Continue layering with sour cream, guacamole, and salsa. Sprinkle the cheddar cheese evenly over the top. Serve with corn chips and enjoy!